“This summer some of the news that was released was the new designer Teenage Mutant Ninja Turtles Merchandise line coming out. 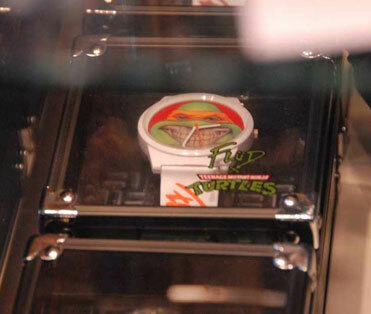 With watches, shoes, and shirts are some of the things we’ll be seeing for TMNT. This is bringing out new styles of art that we have yet to see on the official side of store sales. One of the artist who did some of these pieces is Ron English. At San Diego Comic Con International a lot of us fans saw some of Ron’s artwork get released to the public on shirts, which was a promotion for the Ninja Turtle watches that he designed. 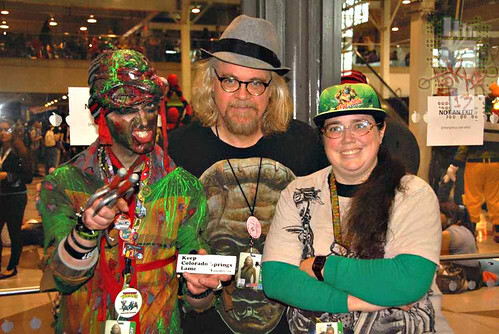 At New York City Comic Con we were able to catch up with Ron to ask him about .. ..
A good friend and fellow Ninja Turtle fan Tokka, joins me as the co-host in this interview. 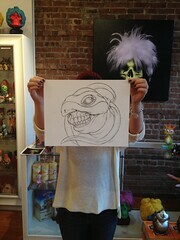 Tokka is a fan of Ron English, so he knew a lot of areas that I did not know about with Ron’s work. It was great to have Tokka on the show. 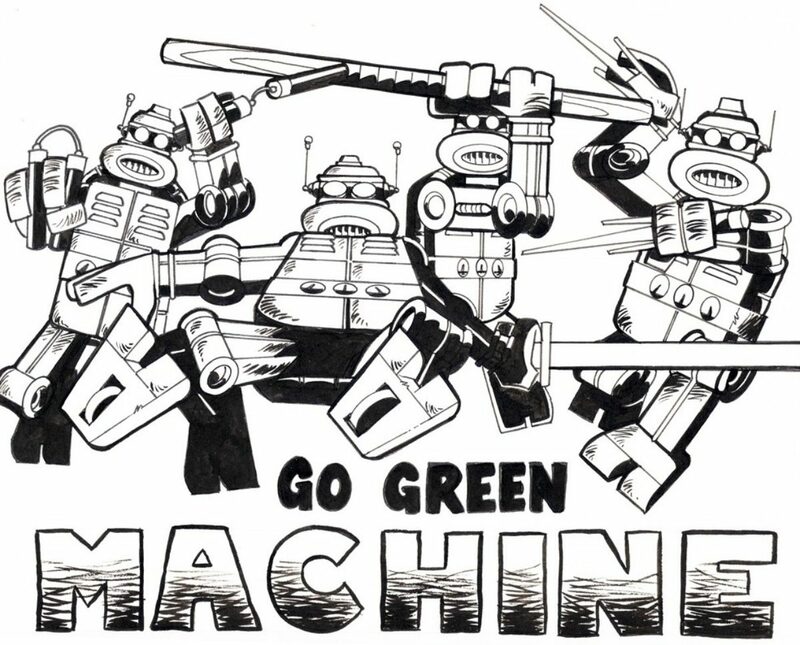 A lot of fans may know him for his posts on Go Green Machine, Twitter, Facebook and so many other places on the internet. 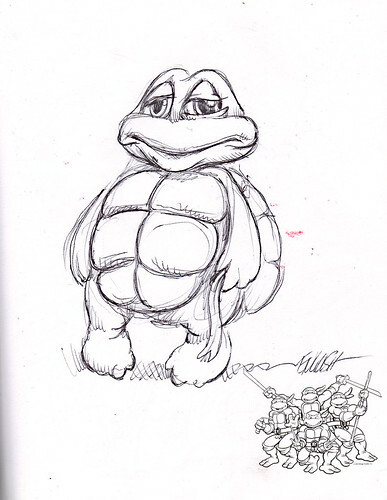 Tokka is an artist, who was even published by Mirage as one of the pin up pages in Tales of TMNT Volume 2. –>> In case ya missed it, watch Tokka play the FOOL as one of the most distracted Ninja Turtle zombies in history. The RON x FLÜD collab- releases parallel this years FILA/TMNT releases. 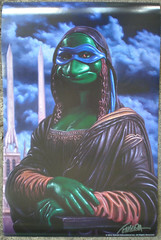 Ron also hints at his future with Nick, FLÜD, and the Turtles & soon-to-be released TMNT work in follow ups to the now infamous LEONARDO as MONA LISA piece ( made available as am exclusive poster at SDCC ’12 ). Hurry before Tokka collapses into a useless puddle of undead, toxic goo and gets toxic Mutagenic fluids all all over your fancy watch there.